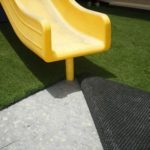 Perfect Surfaces recycled PlayPad Foam Padding provides superior drainage and impact absorption, which is critical for outdoor and indoor play areas for a safe playing surface even on hard sub-surface such as concrete or asphalt. 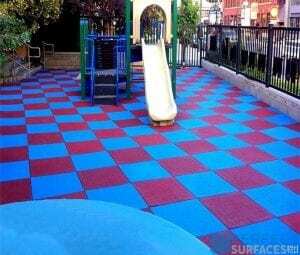 A proper playground surface is the most important factor in preventing and reducing child injuries. 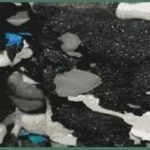 Not only does our PlayPad foam padding provide a safety surface soft enough to protect a child’s fall but it also accounts for other important factors such as aging ability, moisture retention, exposure to extreme temperatures, compaction, loss of thickness, shrinkage, and the ability to drain water. 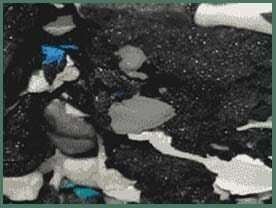 Perfect Surfaces PlayPad Foam Padding is earth-friendly comprised of recycled, non-contaminated foam. 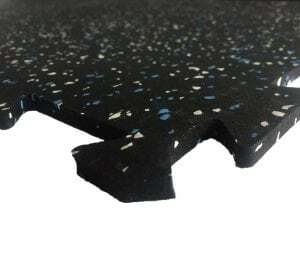 Perfect Surfaces recycled PlayPad Foam Padding is non-toxic and provides years of safe, maintenance-free performance. Perfect Surfaces PlayPad Foam Padding exceeds ASTM Standards guidelines to absorb impact from falls. Perfect Surfaces recycled PlayPad Foam Padding is easy to install. Perfect Surfaces PlayPad Foam Padding provides exceptional drainage, preventing puddles from forming. Perfect Surfaces recycled PlayPad Foam Padding comes in light panels for ease of installation.